One of the biggest questions in our game today is, “What are college coaches looking for in recruiting an athlete?” There’s not just ONE thing that coaches are looking for. In my mind, there are multiple things that add up to being a recruitable player. Some are tangible, some are intangible. What separates you from the thousands of other girls out there who are trying to be recruited who can hit, pitch and field a ground ball? This question can be answered go into a very position specific answer with a coach once they identify a player (ie what a coach is looking for when recruiting a pitcher, what a coach looks for when looking at a swing), but there are definitely some factors across the board that all coaches are looking for to find a player who is going to come in and be able to make an impact on their program. It’s great to be able to show versatility — a player who can play multiple positions, especially if you are not a pitcher, catcher or short stop. Pitcher, catcher, and short stop are those few positions out on the field where a coach is okay with finding a player that excels at JUST that position. If you are a standout pitcher or catcher, it’s an added bonus if you can swing the bat and produce at the plate, as well. However, college coaches are less likely to mind recruiting a pitcher who JUST pitches (pitchers really ARE special 🙂 ) and does not play any other position, and the same goes for a catcher. An awesome defensive short stop is a specialized position, as well. Coaches will bend over backward to find the dime-a-dozen pitchers, a catcher who can throw out a girl stealing who can run a 2.6 and a short stop who can save runs and command an infield. To have an impactful pitcher, catcher and/or short stop are game-changing positions. If you have a pitcher who can shut teams down, you don’t really care if she can hit the broad side of a barn. IF she can hit AND pitch, more power to her — then that player is probably one of the most highly recruited players, because coaches get more “bang for their buck” in getting a pitcher and a hitter in one player. Also, if you are an awesome short stop, that means that you are most likely pretty athletic, as the short stop is usually labeled as the most athletic kid on the field. If you play short stop well, a coach sees you as an athlete that he/she might be able to convert to a different position with ease. Remember that once you get to college, every athlete on the team is solid, and there are only 9 positions on the field. So the more versatile you can be, and have the ability to play multiple positions, the higher your chance is of getting recruited……And then, once you are there, being able to get playing time. When I played at A&M, there were 5-6 players on our team who had played short stop in high school or for their travel team. 4-5 of those players ended up playing other positions than short once they got to college. Please understand that I am not saying you have to be a pitcher, catcher or short stop to stand out. But being completely honest, those are probably the 3 positions most looked at when a coach walks up to the field empty -minded and with no agenda as to which position they are looking at. After looking at those positions, coaches are looking to see which ATHLETES stand out from both dugouts. Coaches think that they can build off of pure athletes — turn them into any position if they are athletic enough. Because athletic player have more body awareness, then it is easier to transform them and find a spot for them on the field. If you have athleticism, show it off. I think of an athletic player as someone who is strong, agile, quick, can jump, and is flexible. You can have some of these qualities, or you can have all of them. The more you have, the better of an athlete you are. Players who play multiple sports have higher chances of overall being more athletic because different sports develop different muscles and different athletic qualities. Think of the jumping skills that come with playing volleyball. That jumping makes you more explosive with your bottom half, and also works on fast twitch muscles, as volleyball moves so fast and is a reaction sport. Think of the endurance that comes with playing basketball or track. Your body can develop to become an amazing athlete by playing different sports. Many college coaches LOVE multiple sport athletes because of the athleticism that it breeds. However, at the same time, there are coaches that are impartial to multiple sport athletes. I played for a coach who likes multi-sport athletes, so I am more partial to encourage players to play multiple sports IF, and I mean IF, they can get in quality time towards their main sport and continue to show progression in the right direction. If they are staying the same or digressing in their main sport, that is when I feel it is time to cut back on playing multiple sports. My theory: play multiple sports for as long as you can. (Some talented athletes can even pull this off for the entirety of their high school careers). The more athletic and versatile you are, the higher of a chance you have at being noticed and recruited, and then once you actually make a college team, the higher chance you have at finding playing time. Work hard to get stronger. Work hard to get faster. Work hard to develop athletic skills that do not just involve hitting or throwing or pitching a ball. Coaches are ALWAYS looking for solid offensive players. It doesn’t mean you have to hit tons of homeruns and it doesn’t mean you have to hit tons of doubles. Understand exactly what YOUR offensive game is so you can focus on it and capitalize on it. If you do have power, that’s awesome, but there are other offensive ways to catch attention, as well. I would say in 90-95% of colleges, if you are one of the top offensive producers on the team, a coach will find a spot for you in the lineup and figure out a way to put you somewhere defensively. Can you crush the ball? You’ll catch coaches’ attention. In college, coaches are looking for the top 9 offensive producers to fill into their lineup. If you are one of the top hitters and have a willingness and ability to show that you can play a position you’ve never played before, you can find yourself in a lineup. Be sure you are a hitter who consistently shows that power and show that you’re not a “lucky” hitter. When college coaches are there watching you, you string together quality at bats, where you have a good approach and are hitting the ball hard more often than not. Take advantage of big RBI opportunities. If you are known you’re your power hitting at the plate, then it is your job on your high school team, on your travel team, and it will be your job when you get to college to come through with the big, RBI hits. A college coach wants a power hitter that thrives in clutch RBI opportunities. A big power hitter looks at bases loaded with 2 outs as an OPPORTUNITY, not as a fear. If you struggle in these RBI situations in tournaments or in high school, why would a college coach think you are going to be any different once you make it to the next level? Do you have speed? Use it — consistently. Speed kills in our sport. Our sport is based around speed. But it does no good to have that speed, be a lefty slapper, and not consistently be able to put the ball on the ground. If speed is your game, show that you are player who consistently gets on base – some way, some how. That’s your job. Have a great short game. Remember to read the defense when you’re up to bat. Put the ball on the ground. Your speed does NOT matter if you are popping the ball up. Catch a coaches’ attention by consistently putting the ball on the ground and having great bat control. By putting the ball in play more often, you’re putting pressure on the defense, and if you have speed, you’re going to pressure them make errors, as they will hurry to get rid of the ball to get you out. So, you have speed? You have speed AND power? Even better. The toughest players to play against defensively are the players who can drop bombs and can also read the defense and know when to drop a bunt down the line to keep the defense off guard. This greatly comes into play, too, because as a hitter you are going to go through slumps – it’s inevitable. If you are in a slump, and you aren’t seeing the ball well, if you have a little bit of speed, you can lay down a bunt down the line and find another way to get on. A college coach will notice if you are a player who is consistently finding a way on base. If you have speed USE IT, by putting the ball on the ground and causing havoc in the infield. On base percentage is such an important statistic – even more important than batting average. Okay, so maybe you can’t hit the ball 300 ft and you can’t run a 2.7 to first base. Then where do you fall? If you are a player who is more of a singles hitter, embrace that!! Don’t go up TRYING to hit homeruns, it’s only going to work against your game. KNOW that you are more of a hitter who is looking to hit a single, make contact, advance runners, execute your short game. A singles hitter can be a player who is one of the most “headsy” players on the team. She is always looking for a way to help the team. For example: There’s a runner at 1B with 1 out. Your best power hitter is on deck. Your execution job is to either lay down a sacrifice bunt OR hit behind the runner (hitting the ball to the right side). If you happen to hit a single to the right side when you are trying to hit behind the runner, more power to you. A singles hitter has to be a little bit more crafty in her thoughts and knowledge of the game. KNOW that you are more of a singles hitter, be a hitter that is consistently making contact, a hitter who has great at bats and and a hitter who is great at putting the ball into play. I promise if you do this, coaches will notice (because coaches know the game and they understand that everybody has their own role), and you will be a benefit to have in the lineup. Every offensive player in a lineup has a role. All of these offensive roles are needed in a collegiate lineup to work together in a strategic lineup. Don’t try to be something you aren’t. Know your strengths. Be consistent with those strengths. Believe in your strengths. Allow those strengths to flourish when college coaches’ eyes are on you. Coaches love finding players who just KNOW the game. These are players who can think for themselves and trust their softball instincts. I’ve noticed a lot of times, on tournament teams when I am out coaching, SO many player’s are programmed to just do exactly what their coach tells them – whether it’s when to swing or the exact defensive position to be placed in. These player are learning to be robots, they aren’t learning to be instinctual players out in the field. If you do not learn to think for yourself and position yourself in the game, you will not become the best instinctual softball player you can be. A collegiate coach does not constantly want to be moving the robots out in the field during a game – there are way too many other things to worry about. Softball savvy players are so aware of their surroundings and the game situation, that they innately know what to do almost every time the ball comes to them. Coaches like this because then it’s less teaching they have to do about basic nuances of the game once you get to their program. Becoming softball savvy comes from watching softball on TV, it comes from watching baseball on TV, it comes from asking questions, learning and then trusting in what you learned once you get out on the field. If you do not trust your knowledge of the game, and you are second guessing every play and every situation, then it doesn’t matter how much you KNOW about softball, you’re not going to be able to make good decisions once you’re out on the field. Is it in you? Are you learning or are you a robot? Don’t be a robot!!!! Love this game so much that it just is molded into your brain and your movements out on the field. Ask questions and learn. TRUST what you learn and trust in yourself. Do not be told what to do at all times — this is NOT learning. I’ve talked about this before in a different one of my blogs :: the ability to be competitive and have a fire in your belly that you want to win is a HUGE quality that cannot really be taught. Knowing how to win might sound like an obvious quality, but it is a TRUE quality that college coaches are looking for in their programs. They want players that come from winning teams (winning high school teams or winning tournament teams) because then the players get to their collegiate programs and EXPECT to win, because they don’t know anything else. They like players who come from winning programs:: high school teams that win championships and go deep into playoffs and/or travel ball teams that play at the highest quality tournaments AND go deep into those tournaments. Coaches are paying attention to how the teams you are apart of are doing and if winning is a culture that you are around day in and day out. If you are used to winning, it drives you; it becomes a part of you and once you get to college, that winning attitude will stay inside of you. Remember, college coaches keep their jobs by WINNING. Their livelihood depends on it. So they are going to put out on the field the best lineup that is going to give them the best chance to win. If a player has played in a big championship game at a tournament level or high school level, then that player has championship experience at a young age, which prepares you to compete in championships at the collegiate level. You can’t teach what it is like to feel a championship game. You have to experience it. They want players who fight, who are internally competitive and hate losing. College coaches want players who hate losing, because THEY hate losing. (Yes, I heard those of you out there who commented on my Sometimes You’re a Loser blog, and I am in agreement with you that there IS a right and wrong a way to lose. BUT in this instance, and in the Sometimes You’re a Loser blog, I am talking about an internal drive that causes you to hate losing and not want to FEEL what it’s like to lose). But back to what I was saying about being a player who comes from a winning team– think of it this way – the more you are winning, the more games you are playing because you stay in tournaments longer, and the longer you are in tournaments, the better the teams you are playing, so quality of competition increases. Overall, it’s just a win-win, no pun intended. By playing better competition, you become a better player. So you’re playing more games, you’re playing higher talent, and you’re learning what it’s like to truly compete in a championship atmosphere against the best of the best —– which is EXACTLY what you’re doing once you make it to college. See why winning is important? What do your high school coaches and travel ball coaches say about your attitude and if you are a coachable player? A coachable player is one who listens respectfully to any coach giving you direction. A coachable player is one who does NOT think she knows more than any coach she comes across. If a coach is giving her information, she is taking it in like a sponge. A coachable player is someone who never stops learning and wants to continue to grow. If your high school and tournament team coaches think that you are NOT a coachable player, then what would lead a college coach to believe that you would just magically become a coachable player whenever you got to their school? College coaches want someone who is raw and has talent, but also someone who they can coach into an even better athlete once you get to their school. If you are not coachable and you don’t want to learn, then you are not one of those players. Along with being coachable, a coach wants a player who has a good attitude (This might sound cliche here, but it cannot be stressed enough). College coaches and college players are around each other A LOT. A good attitude makes people around you better, and you’re enjoyable to be around. A bad attitude that is negative is not something that most of us want to be around, especially with the amount that a college team is around each other. Also, remember that our game is a game of failure — it just is! So a coach wants player who have the ability to deal with failure throughout a season because it’s going to be happening — a lot. Sorry, but you’re not going to get a hit every time. Hate to break it to you, but you’re going to give up a home run (or two…or twenty) in college. A player with a positive mindset and attitude can rebound faster. A player with a negative mindset holds on to these things. You have to be able to move on, it’s a long college season. A good attitude involves caring about the team more than you care about yourself. Players who throw fits in the dugout and show body language on the field, to me, are more worried about themselves than they are about the team. Remember we play a team sport, because the end result of the team is more important than the end result of an individual player. A player with a bad attitude and a selfish attitude is a cancer, I REPEAT, a cancer to ANY team. You are only as strong as your weakest attitude. Once you get to the collegiate level, it’s all about doing whatever it takes to win and compete. Players who have bad attitudes hold teams back. A coach, then, has to give that player more attention and more time than anybody else on the team, thus making that player a selfish player. Be aware of your attitude AND your body language!! When coaches come to your games, they can see these things! Even if you don’t think are you giving off bad energy, you very well might be! Coaches are around so many different types of players and WATCH so many different types of players; they are experienced in the arena of picking up on whether or not a player is a team player or not. Work on your attitude and being a good teammate just like you work on your swing. In order for a team to win a championship in college, they must have good team chemistry and a college coach does not want 1 player to hold them back from achieving their goals because that one player has a bad attitude. You can’t talk about getting recruited to play college ball without the discussion of grades and what kind of student you are in the classroom. (In fact, I probably should have not put this one last on the list as it easily could be #1 and #1 for the simple reason that if you don’t pass, you don’t play…and then this whole talking about getting recruited thing is pointless). You can be the most talented player on the field or even in an entire tournament, but if you don’t make the grades, then you can’t make it TO college or make it IN college. I am not saying this because teachers sent me a check to write about this, or parents out there emailed me and wanted me to write about the importance of grades. I am writing about this because this is real life and this is SOOOOO IMPORTANT. With that being said, I am not saying that you have to make all A’s in high school; this might be achieavable for some student athletes, but definitely not for all. I am not an expert on what exact GPA and SAT scores you have to have to get into certain schools, I will leave that research up to you. What I do know, is that a college coach has SO much to worry about, that they don’t constantly want to have to be worried about if their players will be eligible to play due to their grades from semester to semester. But let’s back up a second before talking about actually making the grades when in college…. ….FIRST, you have to get IN to a college. There are certain GPAs, ACT, and/or SAT scores you have to make to even be able to make it into a school to be able to play. For some student athletes who don’t have the grades to get into a Division 1 school out of high school, some of them might even start at the junior college level. **Remember that once you become a freshman in high school, EVERY GRADE YOU MAKE COUNTS. So even though you may think, “Oh I’m just a freshmen, my fall semester doesn’t count too much” — you’re wrong. Study. Make time for school. Going to school and applying yourself in the classroom matters. One of the first questions a college coach will ask after they spot a player on the field they are interested in is, “How is she in school?” A lot of times this will make or break an athlete if they do not have good grades. A coach looks at someone who doesn’t put in effort in school as someone that they are going to have to baby-sit once that player gets to college. There are so many other things a college coach is worrying about and would rather worry about than making sure his/her starting centerfielder is making the grades every semester to stay eligible. If you don’t make a certain GPA in college every semester and pass a certain amount of hours, then you become ineligible. (Once again, I will leave it up to you to know exactly what that GPA is according to the NCAA). If you are not making the grades at a college and become ineligible, it doesn’t matter if you have the capability of hitting 40 homerun in a season or striking out 400 girls in a year, if you don’t pass, you don’t play, and then you are unable to help your team win. Another reason it is so important to show that you make good grades in high school is because your to-do list gets better in terms of how many different things you have to balance once you get to college. You are on your own – no parents to monitor how you are managing your time and if you are doing your homework. You have a lot more on your schedule to handle and time manage — class, practice, weights, study hall, study hours on your own, when to eat, practicing on your own outside of normal team practice time, and oh yeah, a social life. So it becomes important to know what your priorities are, and the two main ones are school and softball—- in that order. There is A LOT that goes into being recruited by a college. Things are happening so early now, with girls committing to play at a school when they sometimes are even in 8th grade or freshmen in high school. It’s important to stand out. Understand from a physical aspect what you do well – and excel at that, that’s how you can stand out. It’s important to learn this at a young age, but at the same time, it’s never too late to learn this. As a coach, communicate with your players about what is important and BE HONEST with them about what they need to get better at. As a player, if your coach is trying to communicate with you about these things, it’s important to listen and be open minded. Your coach is trying to help you get to the next level. None of the things above matter if you don’t have a true love and passion for this game. When you love the game, it shows. Learn. Grow. Play hard. Be so good they can’t ignore you. I am the mom of a freshman softball player. I enjoyed this article and look forward to my daughter reading it, thanks! Happy you enjoyed it! Thanks for commenting!! 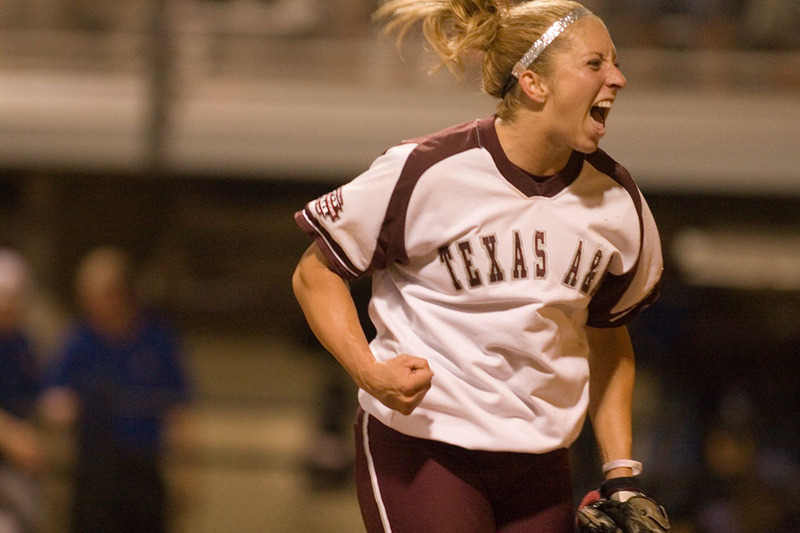 Absolutely one of the most important softball articles I have ever read. I will be passing this on to my team parents! Hi Amanda! This article is awesome! I am a junior in high school and I am thankfully done with my recruiting process. This process can be so stressful at times, but with information and support like this it can make it much easier. I will definitely share this with my teammates who are going through this right now! Thank you!!!! Fantastic article! My middle school daughter and I just sat and read the whole thing together. Thanks for sharing…her pitching coach relays a lot of this information during lessons, but it is great to hear it from another college player as well. Love that you read it together! 🙂 Important for parents AND kids to both understand, so that everyone is on the same page! Glad I could be used as some reinforcement for her pitching coach! Great Article Amanda!! Thank you for sharing. Not everyone shares information like this. You’ve been so helpful through emails. Just a curious question what was the ACT score to get in at Texas A&M? That speaks volume on who we are following in Amanda. Keep the blogs coming and thanks again! Crazy Softball Dad. Thanks for always giving back! Now Ctrl&P. Just another softball dad! What a fantastic article Amanda! I have enjoyed watching you play to watching you commentate on ESPN. Very informative, great info coming from someone other than the parents and coaches trying to help the girls. Well, thank you, Stephanie! Appreciate all of your support! Made me smile this morning! Great article! My daughter is a Freshman Pitcher/1st base. Lots of great info for us. We keep wondering “where do we begin.” Very helpful. Mackenzie! Thanks for commenting! Always happy to help!! Awesome, thank you for sharing! Hopefully it will help some girls out there! Amazing! Your story sums it up. My daughter and I loved it. Just wanted to say thank you so much for this article!!! I have a 14 year old girl and an 8 year old girl that have made softball their lives!! My youngest will even be playing for regionals in NC this next week!! My oldest is a pitcher and short stop and the baby is short stop and just started pitching. Any advice we can get is very helpful and we all 3 love this article!! Now we have an idea of what to work towards!! Thanks again Amanda! What a great article! This certainly complements all the great videos you have on pitching. My DD will be glad to know that she is on the right track. Thanks! Feel feel to email me if you have any questions about the videos or have any ideas to write about! Tell your DD hi! Great article, I forwarded it to my daughter to read and we will discuss it when she is done. Go Tx Firecrackers! Thanks for forwarding it! Awesome! Hope it helps her! Great article. My husband and daughter are currently working on her running and endurance. It also helped to reminder her that being a utility player is a good thing. We are big Texas A&M fans. My sister, Melody Pritchard, is an alumni of the Aggie AIAW Championship team of 1983. Gig’em Aggies! Hi Amanda i am a 13 year old who play travel ball and plan on,playing in college this article has really expired me. Thanks!!! So cool! Recruiting is just around the corner for you!! Glad that this could help you! Thank you, Haylee! Great article and well-written. Will be sharing it with my 13 year old daughter who is an aspiring collegiate pitcher. Thanks! As a mother of a soon to be junior who was recruited and committed this summer I found this article spot on. These are things that we have always talked to our daughter about. These points all very important! Keep motivating Miss Amanda! My 11 year old is a catcher and wants to play in college. This article will really help her! Thanks!! 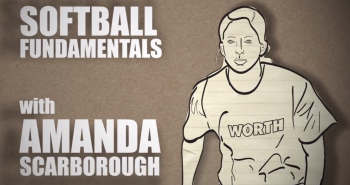 Great insight….. Well done Amanda….my 12 year old is a softball junkie. 🙂 she watches college and NPF games…. We will discuss this article in depth. Appreciative of your sharing. What a GREAT article!!! Although my daughter is a couple of months shy of 11, I am going to make sure she reads this. She plays all many sports but really excels in softball and she wants to play in college. Thank you for the insight!!!! great info…I am the grandmother of a ten year old that has been playing travel with 12u and has played with 16u in tournaments as a fill in player…..she is being groomed to be a robot and we are currently moving and changing teams…she has the instinct and natural ability but the coach keeps trying to make decisions for her and then jumps on her if she messes up….they constantly contradict their own instructions. your article just reinforces my thinking about their style of coaching. Very well put! I read it to my 12 year old daughter who absolutely loves softball. She is a pitcher and right fielder. It has been an amazing journey to watch the goals she created come to fruition. Can’t deny that I have had tears streaming down my face when it happened. Thank you being an inspiration! She plays varsity basketball, has amazing agility, and I couldn’t agree more with coaches assessment. My question: Since coach gave her specific goals/direction, should my daughter forgo playing travel ball this summer and instead focus on hitting if she can hit against a strong pitcher in the area? I’m thinking this would help with repetition and muscle memory. Travel ball can take a lot of time and money, and her “at-bats” would be, at most, three per game. As I am sure you daughter’s prospective coaches have told her, continue with the travel ball. For the all-round experience and even though it is not that many at bats a game, it is for the most part against good pitchers and she will be hitting against a variety of pitchers, something very important. Something that may also help her would be to video her at bats, (your phone camera is fine) then she and her coaches can watch them and pinpoint areas to help her. Good luck! I just emailed this to my 15 year old daughter who has just started contacting college coaches. Thank you for a great read ! Hello, my daughter is 8 and she just started playing. Is it possible for her to pursue 2 positions; catcher and pitcher, or should she choose one out of two? She loves both but I think those are 2 of the most difficult positions to play and it might be too much in the long run. What are your thoughts? Yes! She is young enough to see which one she truly likes!! She WILL have to decide though in the future! She needs to get on the best TRAVEL team that she can possibly get on. Travel ball will be where she gets recruited through, not high school. Once again great advice Amanda. I attend local HS softball games here in WV. Parents don’t have the money to invest in travel ball for their young ladies. I tell them work hard and somebody will notice you but that seems to be outdated advice. HI! This article gave me a good insight into the recruiting process. I’m a rising sophomore this year and I’m hoping for some colleges to start looking at me. A lot of the websites tell me i have to be a certain height and weight to play softball for college and it is really discouraging being only 5 foot tall. This article gave me hope since it mentioned more about skill and attitude rather than physical stature. Thank you so much! You are a role model to me! I go to a very small private school that has no softball team. I play competitive ball. I also play golf for my school even though i have been advised not to:) I do very good at not letting my golf swing affect my softball swing. but i just read the article look for some specifics and found all of them!!! loved it! Excellent article. Perfect summary of what Coaches look for in a recruit. I’ll pass to my girl. You covered a lot of things I knew but always glad to see some values don’t change. We all feel our girls have talent and want the best. I truely feel mine has something special but has a hard head sometimes can’t quite figure it out. Hope she embraces these thoughts as her own. This is the best article about softball in awhile! you know the game so well and your so good at the sport! i play select and you are my idol! I LOVE YOU SO MUCH!!!! This article was very inspiring! I am a 5-7 pitcher who in a year will become a freshman. I play on an impact gold team out of prosper,tx. I am working hard to possibly have a chance in college ball. Do you have any thoughts about what type of camps for the summer i should look into? Also, i am in the top 10% in my class and was wondering if that would benefit my chances any? Thank you for putting your time and effort into writing this article to inspire so many of us softball girls to get into the college level of ball. Thanks for this! While my daughter is only 10, this is a good read for her to measure herself against the task of competing at the level some have said she has the potential for. She absolutely loves the game of softball but does she love it enough? That’s up to her and I will not be the parent to push her so much that she begins to hate what she loves. Are there accommodations for dyslexic students with slow processing and add inattentive type but has the talent and works hard and love the game?